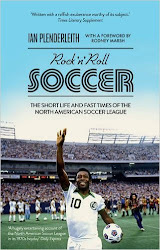 ROCK N ROLL SOCCER: First review: "Fascinating, Enlightening, and Entertaining"
First review: "Fascinating, Enlightening, and Entertaining"
Rock 'N' Roll Soccer is essential reading for enthusiasts of the American game, a group of which we certainly count ourselves a part. 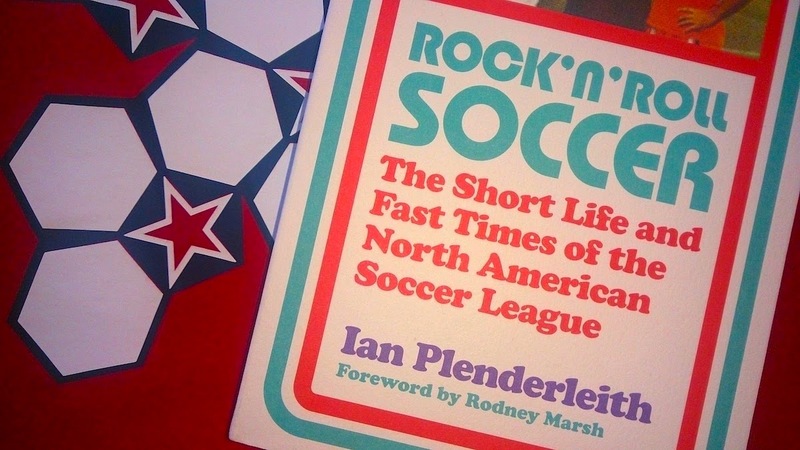 Plenderleith hasn't written a chronology of the NASL but the story of the NASL, making his book a fascinating, enlightening and entertaining volume that eschews needless league business details and boardroom minutiae in order to focus on what really made it tick. In that sense, the book shares the characteristics of its subject. Where the English game had become bogged down by negative football and an obsession with results, the NASL emerged as a league that was focused on entertainment, and, if Plenderleith's many interviews are anything to go by, a real joy to play in. Under the guidance of Phil Woosnam it became a league famous for glamour, celebrity and innovations that frequently got up FIFA's nose - some better conceived than others. The league was also fundamentally and eventually fatally flawed, and proved to be fertile ground for storytellers, those fans and observers with an eye for a gripping yarn. Rock 'N' Roll Soccer is a compelling yomp through the tales that really made the NASL unique, from the 35-yard-line shootout tiebreaker to the Minnesota Kicks' legendary tailgates. There's been nothing like the NASL since, and Plenderleith captures it very well indeed.